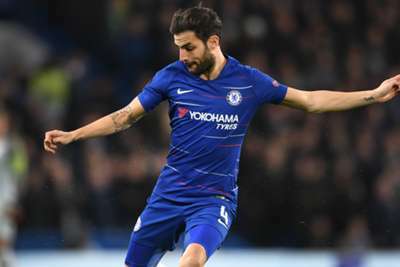 AC Milan sporting director Leonardo said the Serie A club are still evaluating the prospect of signing Chelsea midfielder Cesc Fabregas. Fabregas has been linked with a January move to Milan, having only started one Premier League match for Maurizio Sarri's Chelsea this season. Asked about Fabregas amid growing speculation following Milan's goalless draw at home to Torino on Sunday, Leonardo told Sky Sport Italia: "We evaluated it, considering the possibility, but didn't go all in. "We are still evaluating the conditions." Lucas Paqueta was in the stands at San Siro ahead of the Brazilian sensation's imminent move to Milan from Flamengo, reportedly worth €35million. Leonardo added: "There could be an economic sanction, we'll see what happens. We do have a very negative balance sheet. We'll certainly do something on the market, but we'll take it slowly. "Unfortunately, with the Financial Fair Play issue it has become a puzzle and a difficult one to work out. We need to wait and understand what we can actually do. "The owners want to invest, but there are parameters to be respected."